The man who found Tekashi 6ix9ine Billy Snow releases a interview where he exposes Kifano “Shotti” Jordan for stealing Millions from 6ix9ine. A quick back story Billy Snow was the man who introduced 6ix9ine to the Nine Trey Gang Bloods being he was a top ranking official already. 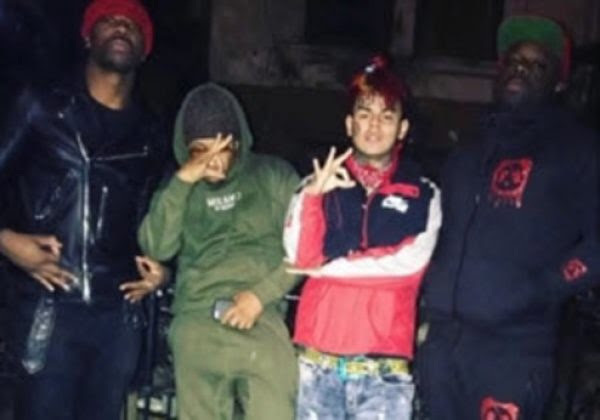 Billy reveals that Shotti put a hit on his life in order to get him from around 6ix9ine so Shotti could now have full control over 6ix9ine. During the interview Billy reveals that it was ambush and he was shot in back of the head but luckily he survived. During the interview, Billy shared how Tekashi’s former manager Kifano “Shotti” Jordan was stealing money from him since they first linked up at the beginning of his rap career. Billy also reveals that the FED’s told him they have proof that Shotti set him up! Check the full video out below and let us know what you think!